As many of us prepare to take a special day on Thursday to honor Thanksgiving and celebrate our multitudes of blessings, I wanted to take time to thank you, Gentle Readers, and let you know how much your support means to me. I am so grateful for and appreciative of your comments of thanks and encouragement. A very special word of gratitude goes to my TanglePatterns donors – bless you! On behalf of all of us, I’d like to send our heartfelt thanks to Maria Thomas and Rick Roberts and all the wonderful CZTs you’ve trained, for this gift we are so fortunate to experience. And right up there deserving very special thanks too, are the gifted artists who so generously share their patterns with us. That was very sweet, Linda – but it should be US thanking you! Without your dedication to finding new tangles to show us there wouldn’t be nearly the amount of tangles drawn. We’d all be stuck hunting for patterns on the computer!! I agree with Cindi’s remarks above. Thanks to you, Linda for doing such a wonderful job with your awesome website that is a resource to so many! 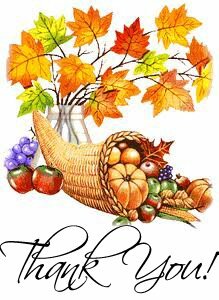 Happy Thanksgiving to you and yours… I am very thankful to have met some of the great folks on the net and… found something I really like doing! Zentangling.. and thanks so much to you for your patterns… and dedication to all of us who love diddling… and doodling. Cindi is so right. I found this site after going to a demonstration and love it. Can’t wait to go to another class but this site keeps me going until then. Have a very blessed holiday season Linda and fellow tanglers as well.